I was bound and determined to use the new Peek-a-Boo Squared Die-namics die with the sets! I cut the Peek-a-Boo Squared Die-namics three times: once each in Kraft, Hot Fudge, and Sweet Tooth. 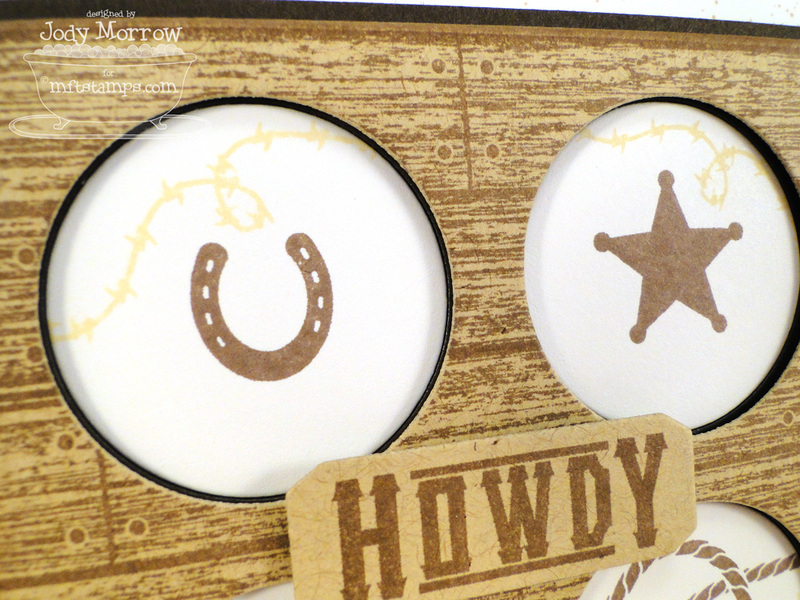 On each of the 4 Sweet Tooth circles, I stamped one western image from Howdy, and a bit of the barbed wire from Howdy. 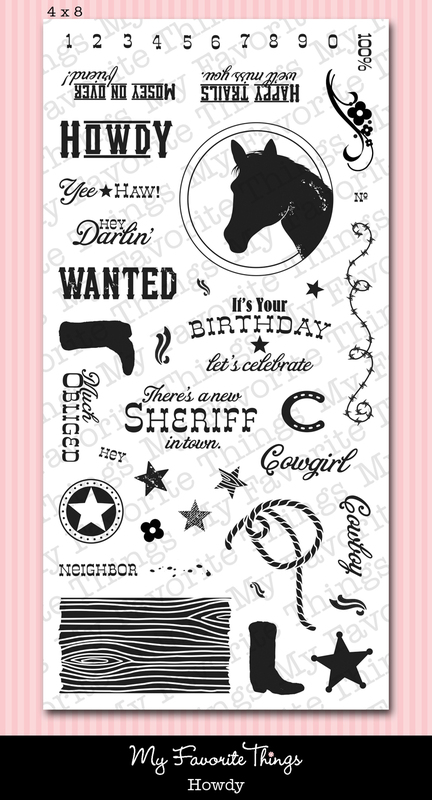 On the Kraft layer, I stamped the wood plank image from Western Backgrounds repeatedly, covering the entire die-cut. The Hot Fudge layer was placed on a Hot Fudge mat to assist with placement of the white circles and Kraft layer. 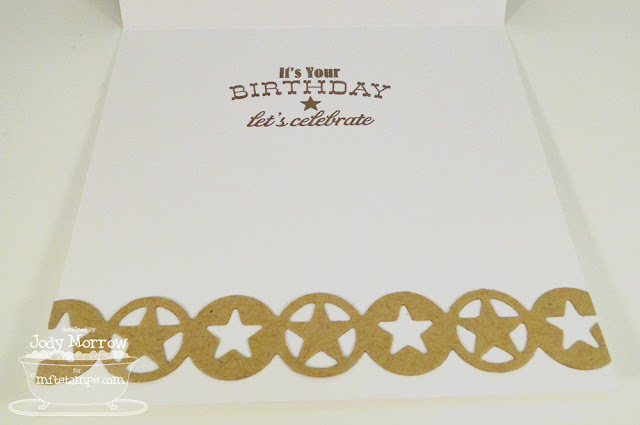 I tucked a piece of Jillibean Corrugated Paper in kraft below the main image panel and used my old-fashioned SU air art spray tool to add some rustic spatters to the card base. "Howdy" was stamped on a coordinating die cut from Howdy Frames Die-namics. It is a set of frames designed to work with the set, but they will work well with all sorts of sentiments. 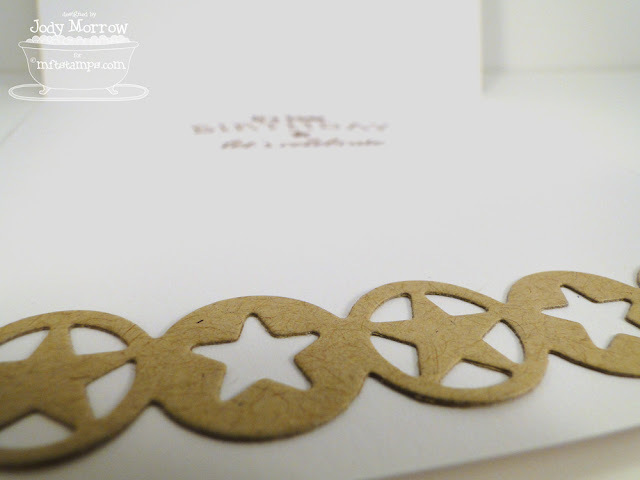 I finished off the inside with another sentiment from the set and the Western Star Border Die-namics, cut in Kraft. I love the pattern on this die-cut! I think this sentiment is so sweet. Here are all the Brand Spankin' New products being released on October 16th that I used on my card today. If you'd like to see teasers for today, please click on over to the MFT Blog NOW. Be sure to leave comments as you go for your chance to win one of 2, $10 gift certificates given away daily. The winners will be posted on October 16 just before the release party, on the MFT Blog. These sets look totally amazing! I can't wait to see what else the rest of the design team has done. I think the possibilities are endless! 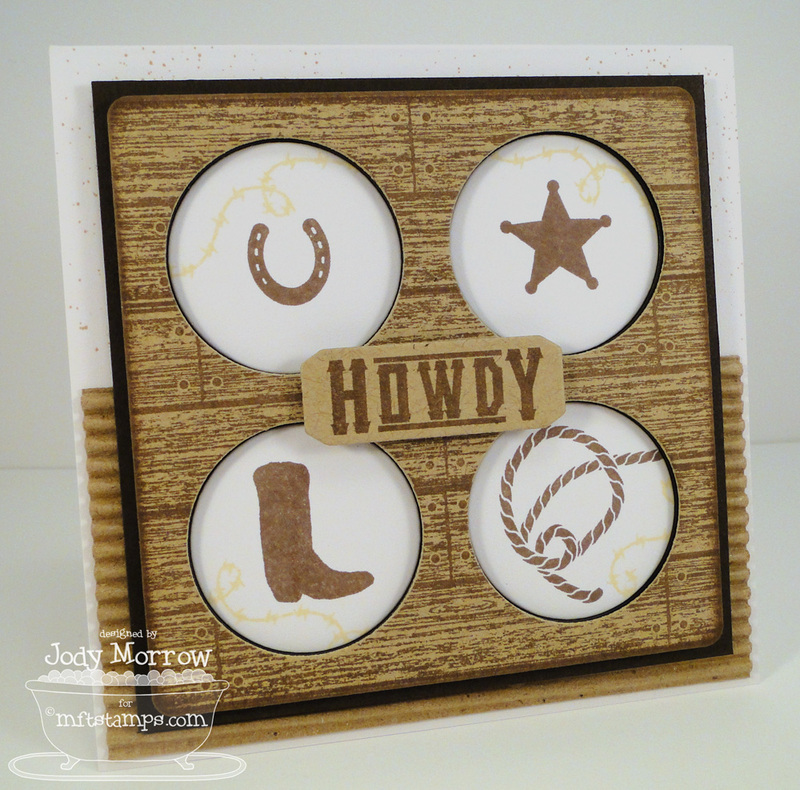 Awesome card Jody, love how you've combined the Peek A Boo Squared Die-namics with the Howdy stampset! 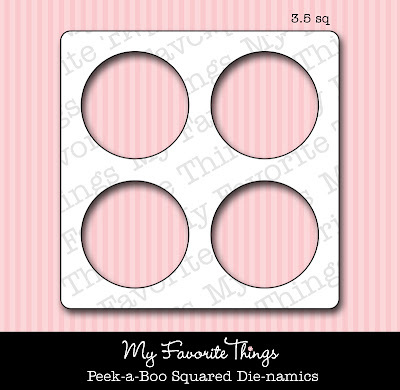 Perfect set to use with the Peek a Boo Square Die-namics. Great cards Jodi.Another fabulous set to make its way into my collection. Really cute, Jody. I like the Peek-a-boo squared. I am loving these sets and dies! Fabulous card! Fabulous card! 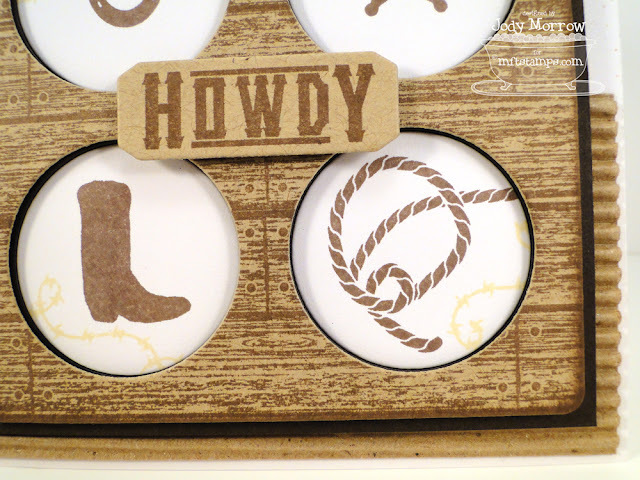 Love the woodgrain pattern and those western stamps are something I've needed for a long time! The new peek a boo die is awesome too!!! Gorgeous! I love the peek-a-boo square and your background is adorable! Adorable Jody! And cuter IRL! Yee Haw! Terrific card Jody! 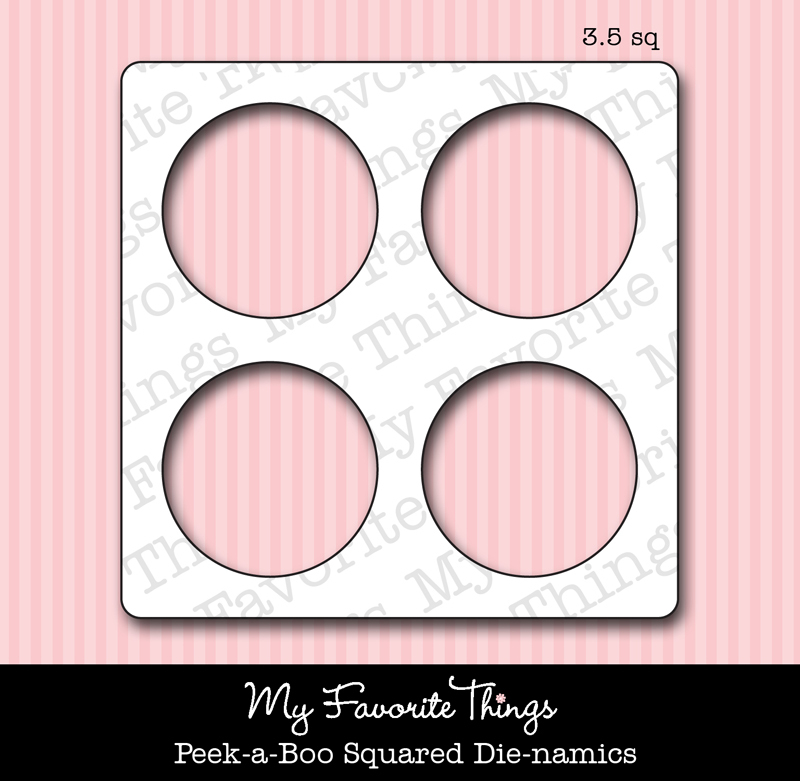 Love how you filled the Peek-A-Boo Square die with the stamped images! soooo adorable! love how you used the woodgrain background. 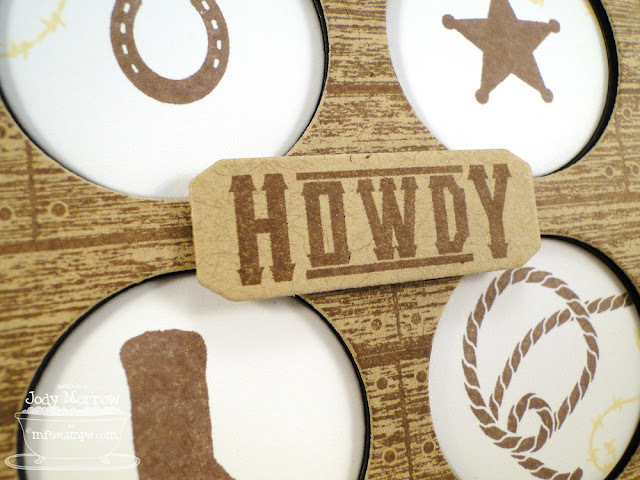 When I saw this set you were the first person I thought of, how the Texan in you would LOVE these supplies. The recently Oklahoma-transplanted gal like myself does too! 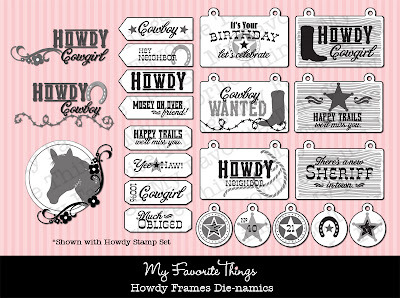 I can't wait to load my cart up with all the MFT western goodies! beautiful card, Jody, I love the barbed wire stamp! I love your new blog!! Lovely lovely lovely! I also love how you used the Peek a Boo Die-namics! so VERY cool! and love the new blog look! Adorable card. Love how you used the peek-a-boo die with this set. Love how you used the Peek-a-boo Squared die with this set, girlie! Fabulous card! Wonderful card. I love the wood background...I think I really need that set! Jody, this card is awesome! Love teh use of the kraft paper, just perfect with this new set! You've done an amazing job with these!!! Love the card... loved being in your class and meeting you in person at the Collins trade show! Love all yalls new releases! Nice card. I really like the square peekaboo die and you did a great job with it. Awesome card, Jody!! 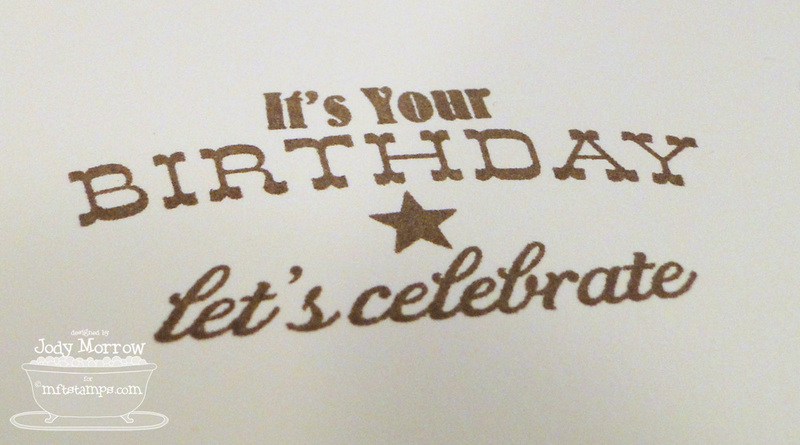 LOVE that stamped background!!! I adore how you used that peek-a-boo die and added the barbed wire in too! Just awesome! Perfect cute and simple card! ACK! LOVE this! Totally genius and totally ADORABLE!! !